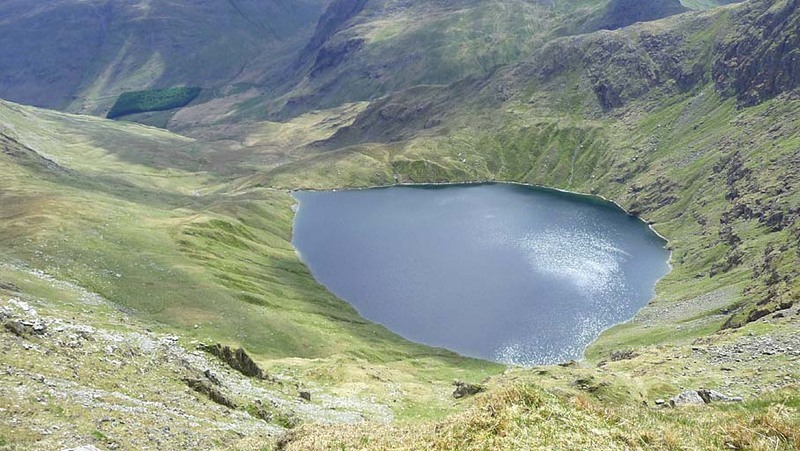 This tiny tarn has a depth of over 200 feet and is the deepest in Lakeland. Of the lakes only Wastwater and Windermere are deeper. Smaller version of this picture.